Craftin' Caro: Halloween Countdown - 2 more days! Halloween Countdown - 2 more days! Sure, you could just drop a piece of candy into a trick-or-treat bag. 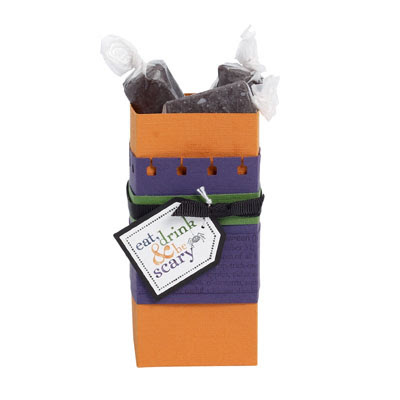 But for your favorite trick-or-treaters--or those who have outgrown bags--you can make personal treat boxes! 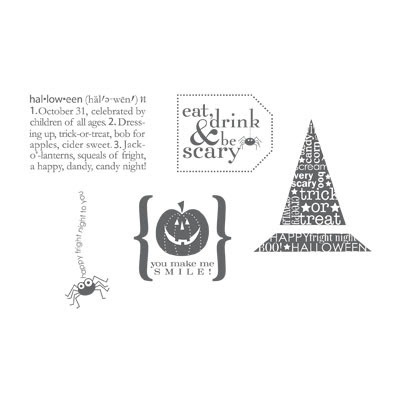 All you need is a bit of card stock and ribbon, a fun tag, and a handful of candy to delight your holiday callers. Don't forget that the SNAIL SALE is still going on, but that's only until the end of the month, so grab your refills now while they're on sale... only $25 for 5 refills!